The Sixth Judicial District Commission on Judicial Performance by a unanimous vote recommends that Judge Suzanne F. Carlson BE RETAINED. Judge Carlson was appointed to the District Court for the Sixth Judicial District in July of 2012. Prior to her appointment, she served as a judge for the Southern Ute Indian Tribe for six years. She also practiced at the Law Firm of Lisa Ward LLC with a focus on divorce and child custody matters. Prior to 2005, Judge Carlson served as a Deputy State Public Defender as a criminal defense attorney for approximately 10 years. Judge Carlson earned a bachelor’s degree from the University of Colorado 1990, and a Juris Doctorate from the University of Colorado Law School in 1994. Judge Carlson presides over criminal, domestic, juvenile, civil and probate matters in her court. 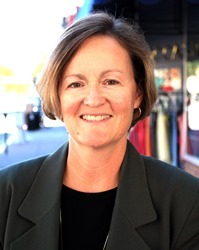 While Judge Carlson received an overall combined average rating in the survey results from both attorneys and non-attorneys which was below the average combined rating of all district judges standing for retention this election, her overall combined average rating was above the rating level prescribed by the governing rules for the Commission to recommend retention. Judge Carlson was described in many of the written comments as being fair, and giving the parties appearing in her court an opportunity to be heard.